There's a way for you to support Iowa State University and feel confident that you have dependable income in your retirement years. You can do this with a charitable gift annuity. This type of donation can provide you with regular payments and allow the university to provide access for students from all backgrounds to a high-quality education. You can also qualify for a variety of tax benefits, including a federal income tax charitable deduction when you itemize. Like any good Iowa farm boy, Gene Chappell grew up with values such as lending a helping hand and working to better the community. It's no surprise his attitude of giving extends to their relationship with Iowa State University. 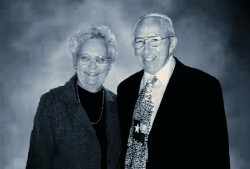 Gene and his wife, Beth, started giving to Iowa State in the 1970s and continued through the years with consistent and modest gifts. 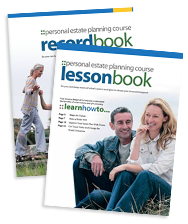 When it came time to evaluate their financial plan for the future, they knew exactly where to turn. The Chappells wanted to find a way to give back that mattered personally to him while also helping others. When looking into gift vehicles, it became apparent that in order to leave a legacy and stay financially savvy, their best option was the charitable gift annuity. "There are great things about this gift structure, but the best part is obviously the income!" Gene said. Contact the office of gift planning at 800.621.8515 or giftplanning@foundation.iastate.edu for additional information on charitable gift annuities or to chat more about the personal benefits of creating an annuity with Iowa State. If you include Iowa State in your plans, please use our legal name and federal tax ID. A charitable bequest is one or two sentences in your will or living trust that leave to Iowa State University a specific item, an amount of money, a gift contingent upon certain events or a percentage of your estate. "I give to Iowa State University, a nonprofit corporation currently located at Ames, Iowa, or its successor thereto, ______________* [written amount or percentage of the estate or description of property] for its unrestricted use and purpose." A donor advised fund is an account that you set up but which is managed by a nonprofit organization. You contribute to the account, which grows tax-free. You can recommend how much (and how often) you want to distribute money from that fund to Iowa State or other charities. You cannot direct the gifts. You fund this type of trust with cash or appreciated assets—and may qualify for a federal income tax charitable deduction when you itemize. You can also make additional gifts; each one also qualifies for a tax deduction. The trust pays you, each year, a variable amount based on a fixed percentage of the fair market value of the trust assets. When the trust terminates, the remaining principal goes to Iowa State as a lump sum. You fund this trust with cash or appreciated assets—and may qualify for a federal income tax charitable deduction when you itemize. Each year the trust pays you or another named individual the same dollar amount you choose at the start. When the trust terminates, the remaining principal goes to Iowa State as a lump sum. 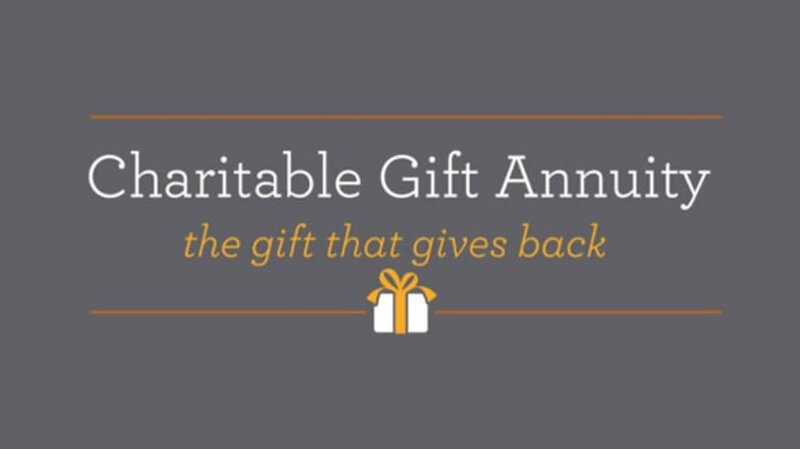 A charitable gift annuity involves a simple contract between you and Iowa State where you agree to make a gift to Iowa State and we, in return, agree to pay you (and someone else, if you choose) a fixed amount each year for the rest of your life.